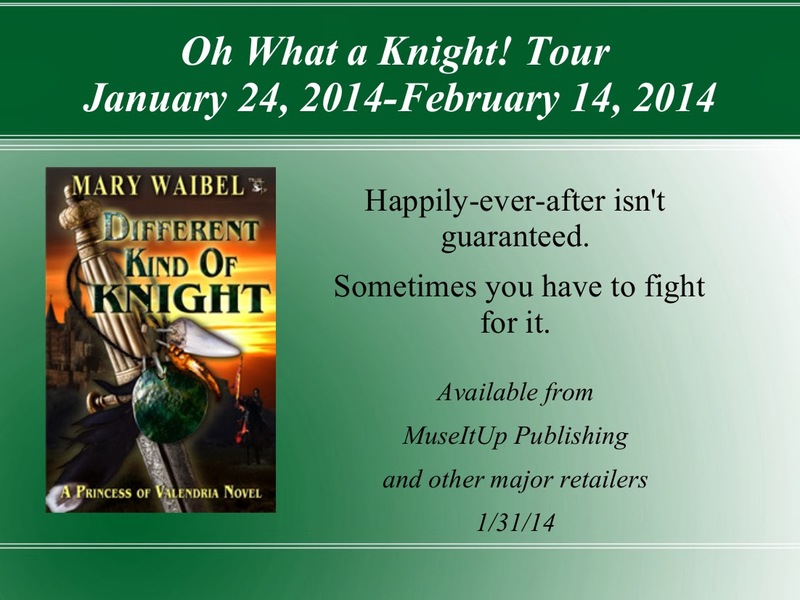 I have the honor of hosting my friend and author Mary Waibel as she releases her new book, A Different Kind of Knight! Having been a reader of Mary's I can assure you, you are in for a treat. Picture Europe in the middle ages, and you'll be pretty close to what Valendria is like. Made up of five kingdoms―Breneira, Palindore, Faldaera, Delphine, and Lowenguilde―Valendria is a land filled with beautiful scenery and unique creatures. Our first introduction to Valendria came in QUEST OF THE HART. Here, the neighboring kingdoms of Breneira and Palindore came to life as Princess Kaylee of Palindore went on a quest to rescue her betrothed, Prince Devlin of Breneira, from a sleep spell. Little was seen of Palindore, as most of our time was spent traveling the swamps and mountains of Breneira with our brave heroine. Magic is a force to be reckoned with in this world, as our its unusual creatures, such as the Golden Dragon, Aureal. In CHARMED MEMORIES, we see a bit more of Palindore, as well as Faldaera. But most of our time is spent in the island kingdom of Delphine, as Lady Bri, the kingdom's best tracker, helps Prince Trevor search for his missing princess. 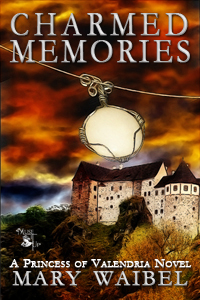 Merfolk, magic, treachery, and betrayal are at the heart of this tale. While in Delphine, we meet Prince Broderick, more commonly known as Brody. When his world falls apart, he leaves his island kingdom and winds up leading a rag-tag group of men against a variety of mythological creatures. When his path crosses with Princess Gabrielle, or Rielle as she prefers, he learns that more than dangerous creatures plague the kingdom of Faldaera. Come on a tour of the countrysides of Faldaera and Lowenguilde in DIFFERENT KIND OF KNIGHT and meet some exotic creatures such as griffons, wyverns, arrowhawks, and griffonvuls. Purchase your book through MuseItUp and get two books for the price of one!! 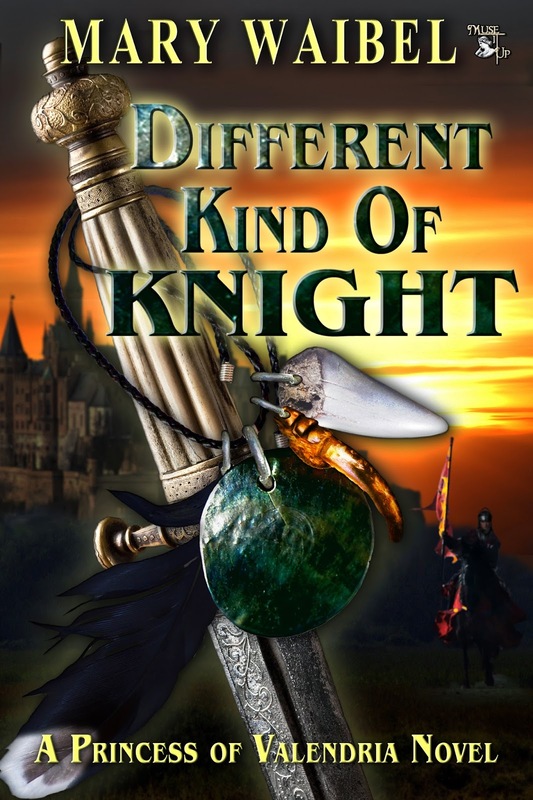 Mary is giving away copies of her ebooks Quest of the Hart, Charmed Memories, Different Kind of Knight. Enter to win with Rafflecopter! Thanks so much for hosting me on the final day of the tour!!! You are very welcome, Mary! Always a pleasure! Good morning all. 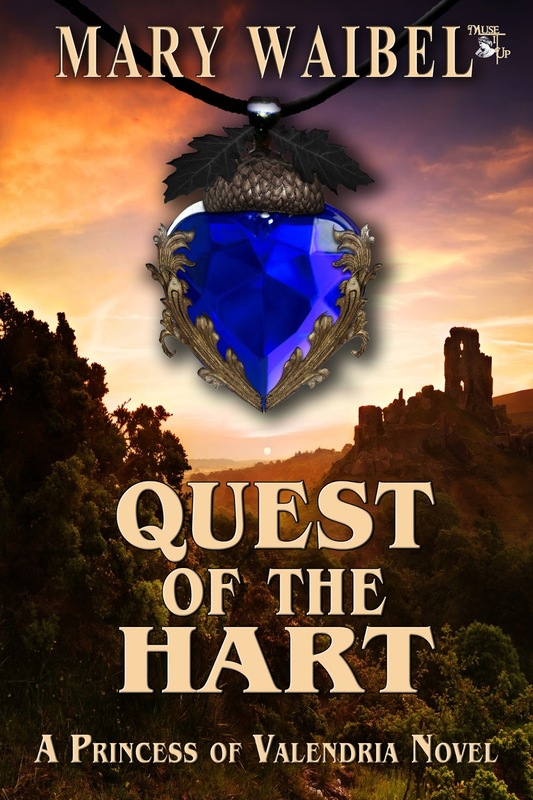 I have read Quest of the Hart and look forward to the other two. I AM BEHIND! Congratulation Mary. You are an awesome storyteller! And oh, yeah. Brody. Mmmmm.